Discussion in 'Flat Earth' started by Mick West, Jan 30, 2017. I also had a very clear view of Catalina island, significant parts of which were under the horizon. I had to do a bit more than stand up here, but walking up to the nearby Palisades park (about 100 feet up) made a significant difference. This difference here is just from me standing up. I took several more photos and video, and will post them later. Are you sure that the differences are not due to ocean swells or in the case of the sailboat, the boat heeling? Did you do the trigonometry to ensure that the results make sense? If so would you please post same as a follow up? I don't think the beachside hotel was heeling. Let's take the case of the hotel as it's a fixed object of known height and position. It's 11.2 miles away, so the amount hidden at 2 feet above the water is about 50-60 feet, depending on refraction. So a change of around 16 to 18 feet is expected with ordinary atmospheric conditions. This is consistent with what we see here, were between 1 and two floors are obscured when I stand up. Is this the ocean coincidentally "swelling" to match the expected curvature of the earth. No, because the 21 foot "swell" is permanent. One might be tempted to argue that there's simply lots of very gently 21 foot high waves in Santa Monica bay. But that makes no sense at all, and fails utterly when we consider the Catalina photos, at 38 miles away, and would require a permanent "swell" of 240 feet in height. Look at the surface of the ocean here. Apart from the relatively tiny waves it's a smooth single curve up to the horizon. 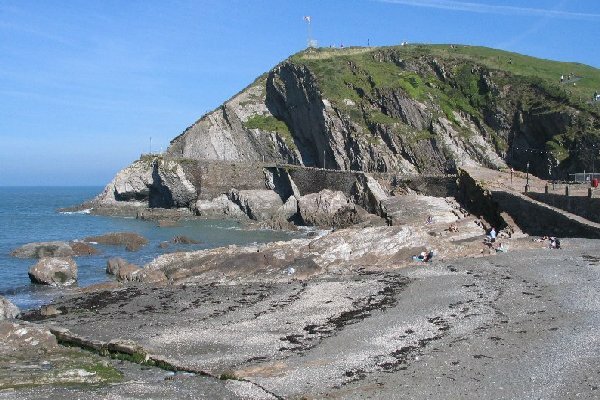 At a rough approximation, it is about one and a half people's height (say 9ft) from the waterline to the base of the rocks. US standard stair height (for indoor stairs) is 7in rise, so assuming the same height that is 24 x 7/12 = 14 feet to the ground floor level. So that makes about 23 feet to the first floor from the sea level. From the higher camera level (on left in picture below), we can see the top two floors but not the ground floor. Assuming 10ft per storey, the base of the second floor (the first part we can see) is roughly 33ft above sea level. That agrees pretty well with the expected hidden height which is 33.89ft with standard refraction. It's the white dot here. Besides collecting some good reference photos, I was also thinking about replicable experiments. Millions of people have relatively easy access to this location (unlike my last attempt at Folsom Lake). So the same observations can easily be replicated. Pepperdine University, a similar distance. That's just 5.5 miles away, so only a few feet of beach are obscured. Here's a lower view. Close up on the shoreline. Again these amounts of obscuration are all consistent with the expected values. Nice pics. I'm going to be visiting family in Devon later this month, and if the weather is clear I will try to get some photos across the Bristol Channel to Wales from different viewpoints. There's a good vantage point on Capstone Point which is 155ft directly above the beach. I think I was lucky with the weather, as you quite often can't even see Catalina from Santa Monica. Winter seems better, as there's less heat. 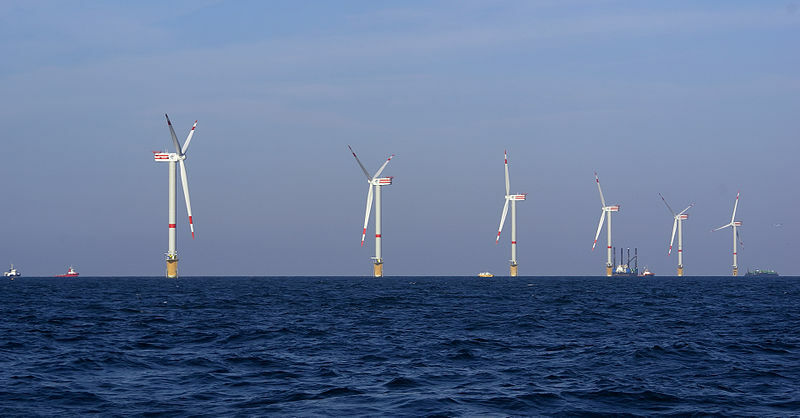 For comparison: the blades have a length of 63 m and the tower is 120 m above sealevel. The dip in the middle is near Twin Harbors, a low lying region just 30 feet above sea level that is between the north and south parts of the island. Where the lowest point where sky is visible is around 360 feet. It is the same photo. Sorry, "most people think is Getty Villa"
However in a brief spell of clearer weather I did take a few photos of Lundy island from Woolacombe beach. The first pic is from the road about 50ft above the beach, the second is from close to sea level. The quality is pretty terrible because these are just zoomed crops of phone photos, but it still looks like the Earth isn't flat. Hi Mick, I made some photos here in Croatia with similar results as yours, yet I question if the hiding is due to water swelling.. For example if you put on the table a coin and record from the table level.. that coin although it's very thin will hide much more height behind it.. so a wave or water swell that is slightly over 1ft could hide more land behid it due to perspective.. To be honest before i was leaning towards flat earth more due to these things but now I'm not sure that much anymore.. I m doing my best to be objective and figure this out because there seem to be inconclusive results in some cases.. for example this laser test on a frozen lake.. I wonder if we can analyze it a bit more since it's done at 7+ mile distance, and the guy is also doing stand up/crouch you mentioned in the title..
To explain video in more detail, two guys use a laser over 7.5 mile distance on a frozen lake to inspect will the laser light be blocked by earths curvature. Laser was set 41 inches above ice, but they removed the snow layer to get to ice, so snow layer was higher. One guy went out on a snowmobile and at 7.5 miles distance they could shine the laser on the ground. So it could be visible on the snow. If anyone is interested in more details I will be happy to answer, or you can just watch the video. Hi Mick, I made some photos here in Croatia with similar results as yours, yet I question if the hiding is due to water swelling.. For example if you put on the table a coin and record from the table level.. that coin although it's very thin will hide much more height behind it.. so a wave or water swell that is slightly over 1ft could hide more land behid it due to perspective..
Hmm.. yes interesting.. that's why I like this test over ice, because it removes the swell/wave factor, but are there any other flaws with this experiment that I am missing? Yeah, it's close to a cold surface, so there's probably refraction curving the beam down. Long distance laser experiments are generally pointless. The beam is widely diverged after a few miles, and there are multiple paths it can take from laser to camera. If you have a frozen lake then repeat the Wallace experiment, it eliminates refraction errors. I don't think that experiment would eliminate refraction errors.. if it was visible we could still say it's refraction.. since light is the medium we use to inspect it.. Since this is taken at night the temp difference of air and ice is not that big.. so refraction shouldn't be an issue. I might be wrong but we both can only speculate on this issue. I myself don't think this is the case. There might be something else I am not aware of but I don't think refraction bent that light 21 feet in 7.5 miles distance. So still on the fence here.. flat or sphere.. honestly don't know. Hopefully I will find the kill shot for one or the other to seal the deal. Just want to get it over with..
and then standing on a dune (h2 ~ 12 m). It happens to be the biggest ship in the world (328 m long, 124 m wide and about 70 m high, without the cranes). Windmills at sea (located at the Thorntonbank before the Belgian coast), photographed from a dune at a height of 28 m. The distance was between 45 and 55 km. The height of the turbines is 94 m above sealevel. The blades have a lenght of 63 m.
Very nice. The large scale effect works best with very large things like mountains, but a giant ship is great as it's much easier to make out details with the high contrast colors. On the more distant turbines, well over half of the tower height is cut off by the curvature; that's not something that can be done just by moving them further away on a flat plane. Even without doing any calculations it's clear that the height difference couldn't possibly be accounted for by the distance. The key observation that the Flat Earther seems to be missing (or is glossing over) is that as things get further away they get smaller. They do not change shape. This is best demonstrated visually. It's actually a bit difficult for a normal person to comprehend the FE arguments for things vanishing behind the horizon. Not because they are so subtle and insightful, but because they make absolutely no sense. This creates difficulties in communication. I just believe we need to be objective and scientific about this. I know this subject brings out emotional tantrums and sometimes the worst out of people, but that's not why we are here. As civilized people we can have a healthy discussion with no pressure.. and can bring forth things on our mind, and discuss it while maintaining mutual respect. Sea can be a tricky medium to watch the curvature for because of atmospheric effects. For example in this image we can see distant ships filmed at the sea. The important thing about it is that both pictures are taken from the same place, and due to different atmospheric effects on different days we seem to get different results. So on a ship that is further away we can clearly see how it's bottom front part is cutting through waves at sea level, yet on another day a ship that is few miles closer looks like it's behind earth curvature. 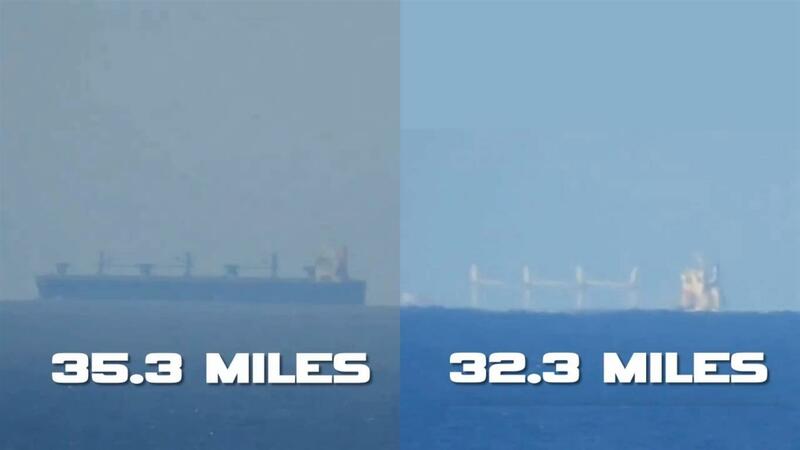 So if we were subjective, superficial and sloppy in what we do, we could make this mistake easily and claim the second boat is behind earths curvature, yet there is a solid proof this is not the case. Something else is happening here. So if we were subjective, superficial and sloppy in what we do we could make this mistake easily and claim the second boat is behind earths curvature, yet there is a solid proof this is not the case. Something else is happening here. Yes things can be obscured by refraction sometimes - and you can see this by the distortion at the bottom of the image. But look at the images in my first few posts here. There's a sharp clear horizon, and there an undistorted image behind it. And again, the different in these images (with zero distortion) is from just standing up. I believe if the missing portion of the observable height of a distant object were due to ocean swells on a flat earth, a single object from a single observation point would change apparent height over time as the swells moved in and out of the line of sight. I do not have access to a good location for verifying this, perhaps someone who does could comment as to whether or not the islands, far shores, wind mills, etc. change apparent height with time through a long observation. I do not have access to a good location for verifying this, perhaps someone who does could comment as to whether or not the islands, far shores, wind mills, etc. change apparent height with time through a long observation. They don't. I spend considerably time on the beach at Venice and Santa Monica. The obscuration was solid and consistent. In particular the obscuration of several hundred feet of Catalina Island. In particular the "swell" theory must account for how the swell always happens to be the correct size to simulate the curvature of the Earth. Like most flat earth claims, if you actually do the math, it really boils down to them saying: "the Earth is not round, it just looks and acts that way"
Here, I'm likely venturing into territory beyond my scope of knowledge. "are you taking photos showing ocean (or lake) swells ?" (therefore showing swell peaks, are not true level of a theoretically flat body of water"
My thoughts would be...over a long distance, ocean swells are at somewhat constant intervals and height, with an occasional "peak-peak" of a certain higher swell. The longer the distance observed, the more the swells there are. Say there are 100 swells over 4 miles....plus, if an occasional 'high swell' comes every 25 swell intervals...I think there would be some 'averaging' of swell height, between camera and the distantly viewed object. I'm not sure if it's needed, but maybe a demonstration of several photos over a short period of time, to show consistency of swells, or a real-time video. This is of course if the photograph(s) are taken at average (median) sea-level. I think Mick is demonstrating that by altering your view by just a few feet, the swells become almost inconsequential, as the swell height is still averaged-out. Because even a few feet in camera height, also includes averaged (or high) swells. So the swells are included in each camera height examples. I'm not sure if it's needed, but maybe a demonstration of several photos over a short period of time, to show consistency of swells, or a real-time video. I am willing to take Mick's word as an expert observer, he has put in some time on this issue and has demonstrated consistent thoughtfulness. There's six hundred feet of Catalina island being obscured. I left in the bars on the side as a reference to where I was shooting from. Here it is from the same position, but zoomed out. So I'm standing on the pier at Santa Monica. Maybe 40 feet above the waterline. and 800 feet from the water. So how exactly could a "swell" account for this? How could it account for the tack-sharp horizon line? Is there 40 foot high mound of water just offshore from the pier? Is there a 610 foot high mound of water just offshore from Catalina Island? Is there a 240 foot high swell 7.75 miles off shore (coincidently where the horizon would be?). The ONLY thing that fits ALL the observations is a gradually curving ocean, with a radius of curvature of approximately 4000 miles. or a real-time video. This is of course if the photograph(s) are taken at average (median) sea-level. that can prove problematic timestamp embedded in link. I've research a bit on how to find the "sea-level"......not the average sea level over a long time, but the "current level" at the moment of measurement...the mean sea level at an instant, which can and does include local tides. I'm not sure if this method is useful, but it may be.....called a 'stilling well". It's a way to measure mean water height despite above and under-water disruptions (waves, wind, tides, current), using internal measurements among a dampened pipe system. For both contact and non-contact methods of liquid level measurement, surface disruption can cause problems. Stilling wells are a great way to dampen disruptions, and provide a clean target surface for an accurate measurement. could you please explain how I was able to see Santa Barbara Island 43 miles away to the naked eyes from Trump National Golf Club (Palos Verdes, Los Angeles) at sea level when there is a declination of over 1200 feet but the tallest summit Signal Hill on Santa Barbara is only 634 feet high? could you please explain how I was able to see Santa Barbara Island 43 miles away to the naked eyes from Trump National Golf Club at sea level when there is a declination of over 1200 feet but the tallest summit Signal Hill on Santa Barbara is only 634 feet high? The Trump golf club isn't at sea level. It's on top of cliffs that are about 50 metres high. According to Google Earth the elevation of the clubhouse is about 62m (200ft) and the lowest parts of the course itself, on the cliff edge, are at 50m (164ft). I specifically said SEA LEVEL because that's where i was at the bottom of the hill on the rocky beach where there is a public trail. I have taken a photo with my Nikon P900, I would be happy to show it to you. It has cliffs with beach access in places, so you can take photos at near sea level (like 2 feet) then all the way up to 200 feet at the top of the cliff. It has a good view of Catalina Island and Santa Barbara Island. Santa Barbara Island in particular offers us another great advantage - at certain times of the year the sun sets behind the island, giving a great contrast against the sky (and sometimes even the sun itself). The islands both have two distinct peaks, allowing us to scale an image to see how much has been obscured. I have taken a photo with my Nikon P900, I would be happy to show it to you. That would be nice. Metabunk is big on actual evidence.